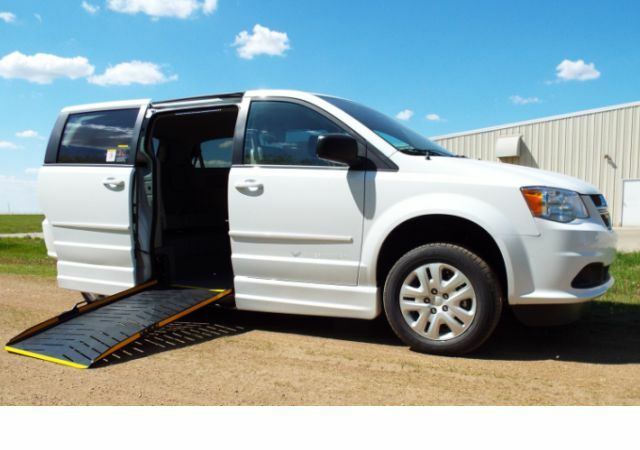 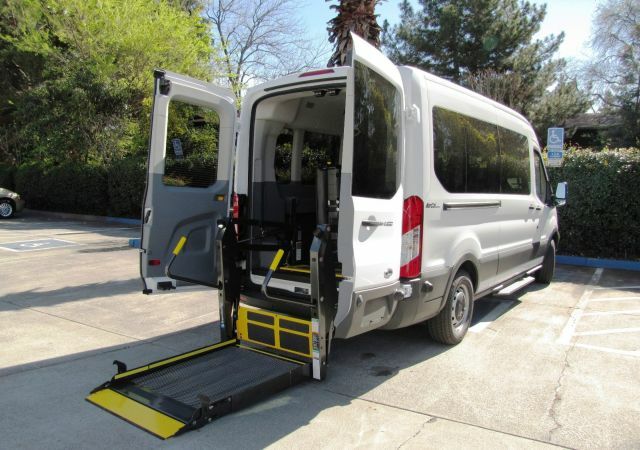 One-step entry and wheelchair lift in place of a more expensive wheelchair ramp. 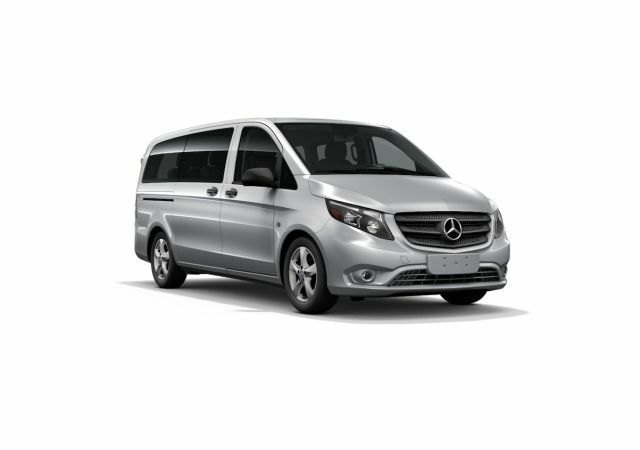 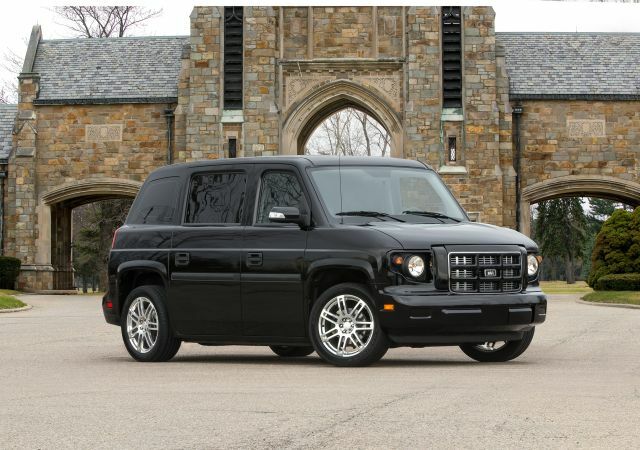 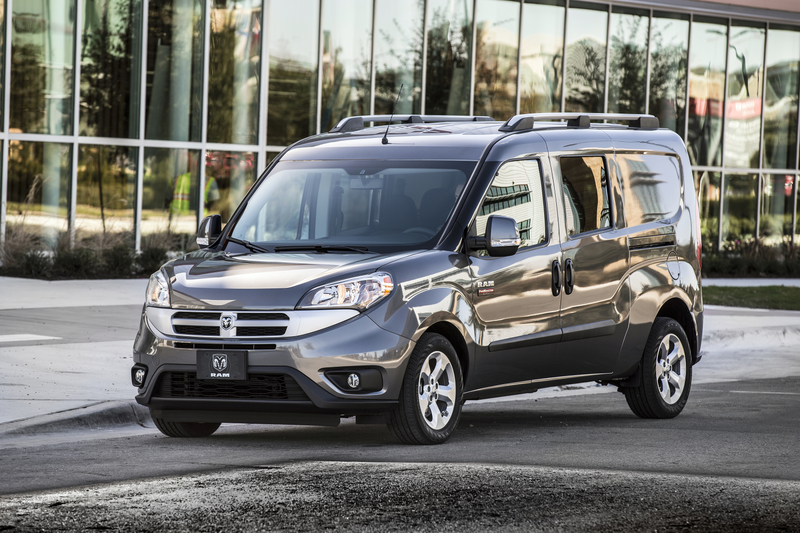 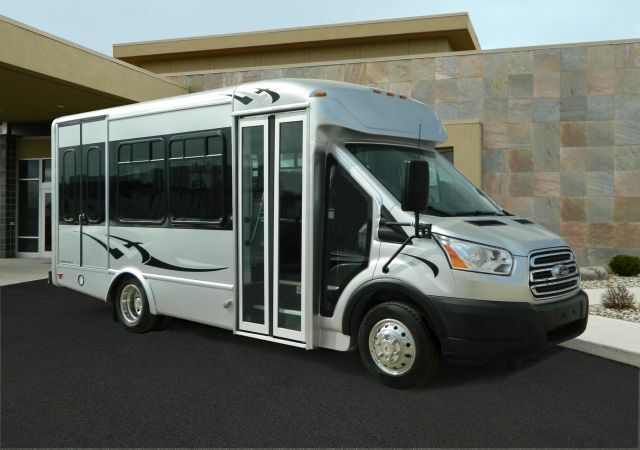 The goal of this model is to appeal to those that have always shown interest in the low-floor concept, but have also remained conscious of its price tag. 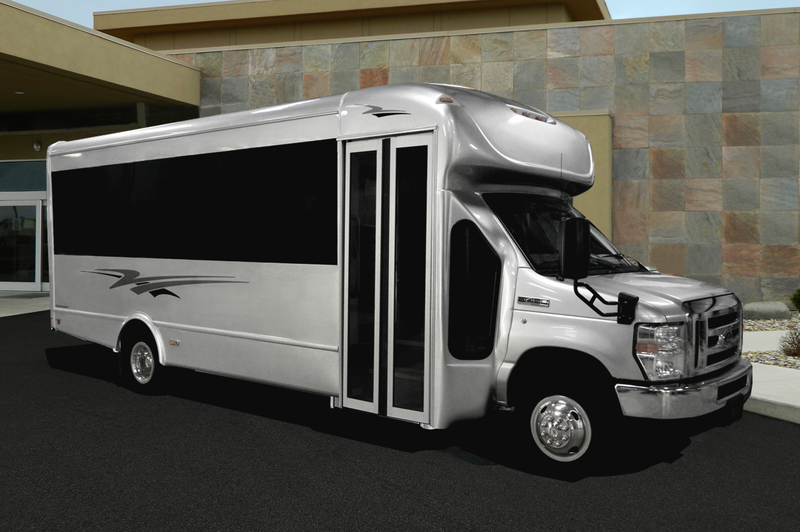 Exterior Width 96 in. 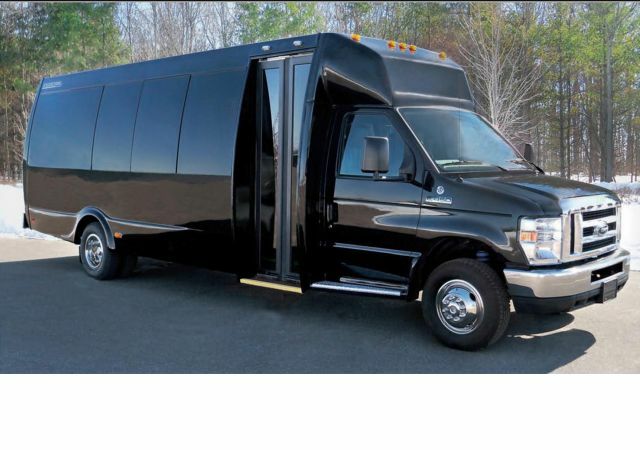 or 102 in. 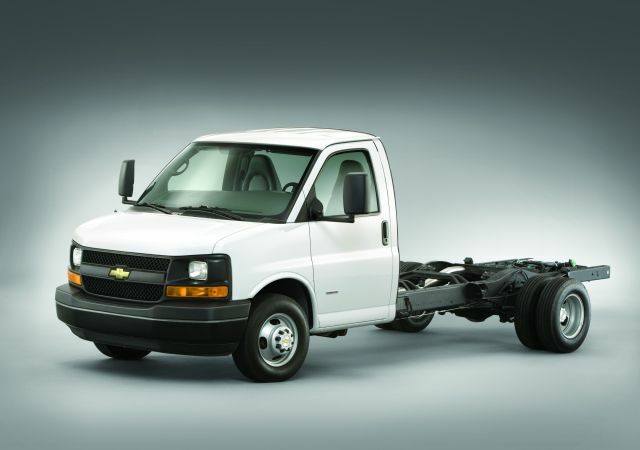 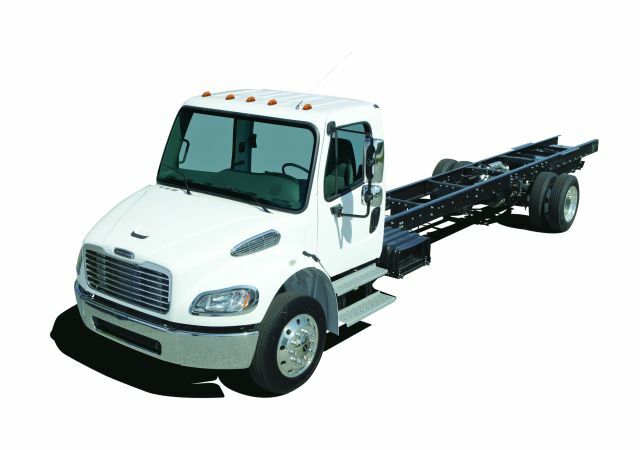 Length 24 ft. to 27 ft.
Wheelbase 189 in. 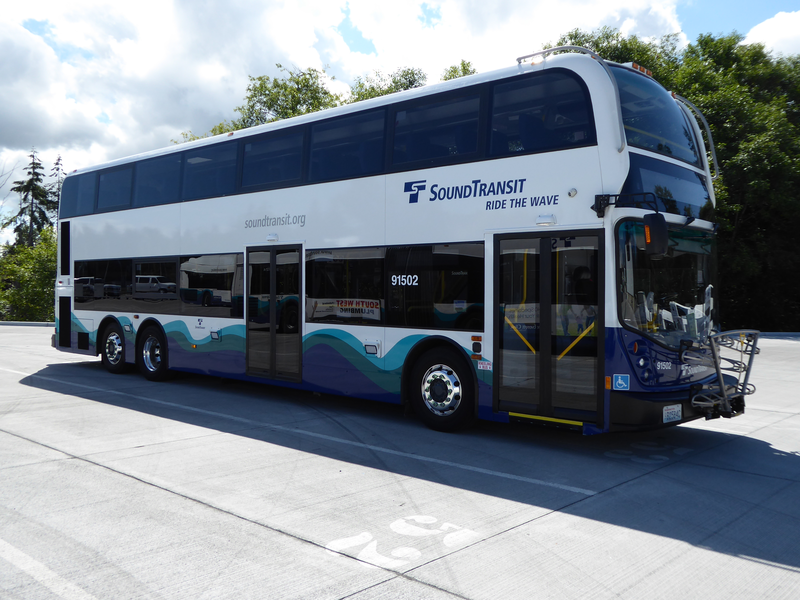 to 208 in. 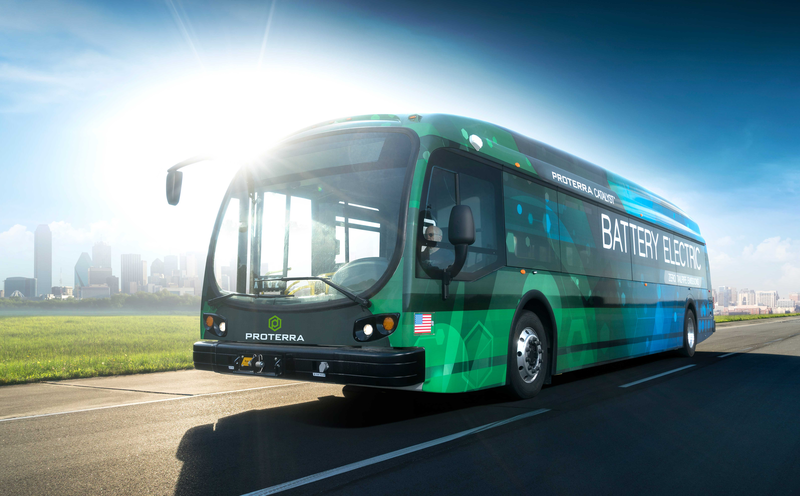 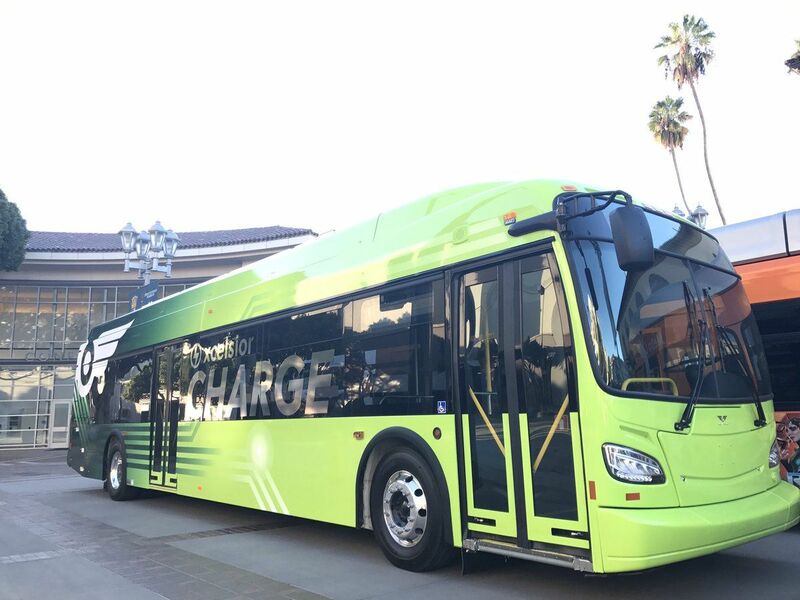 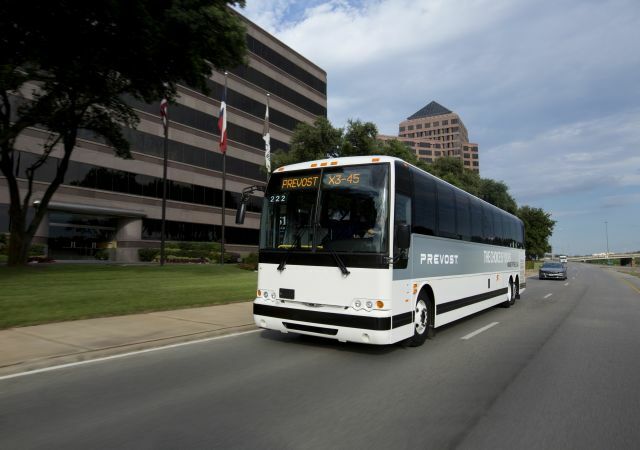 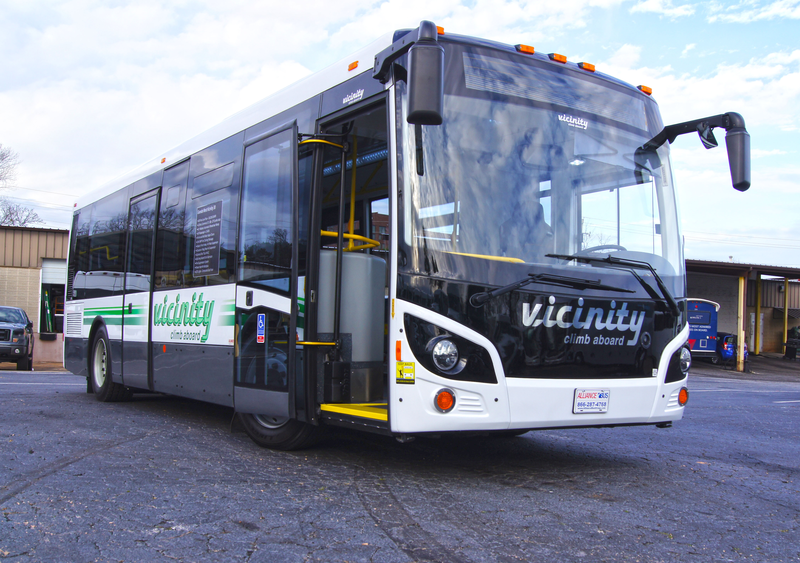 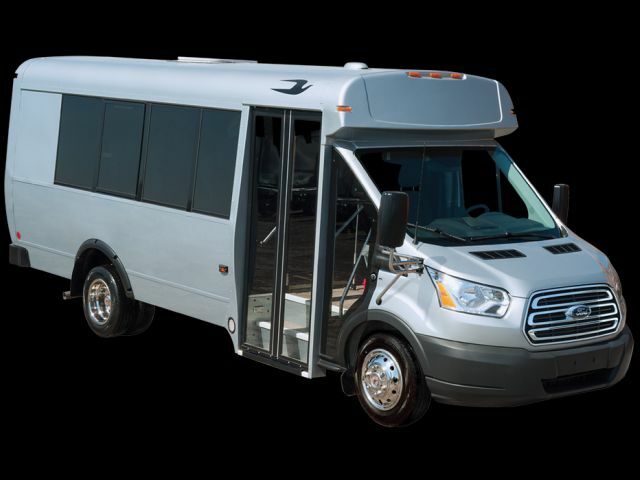 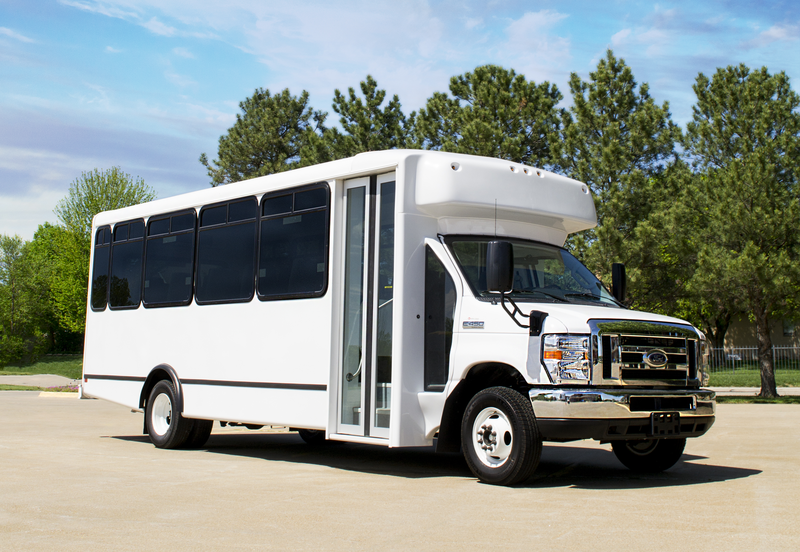 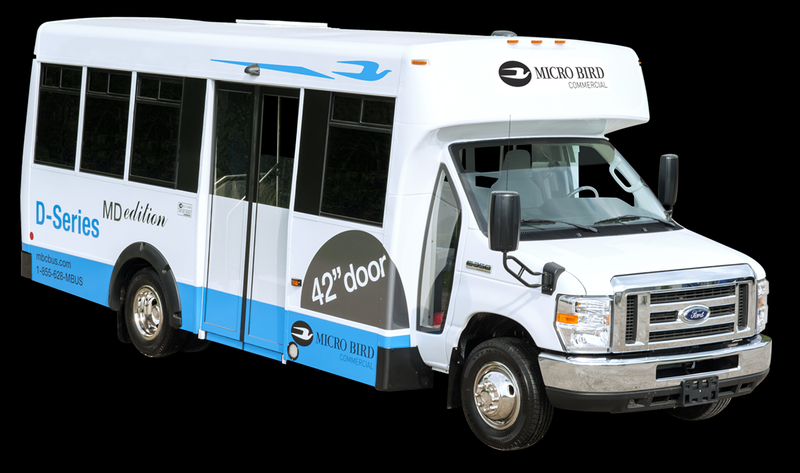 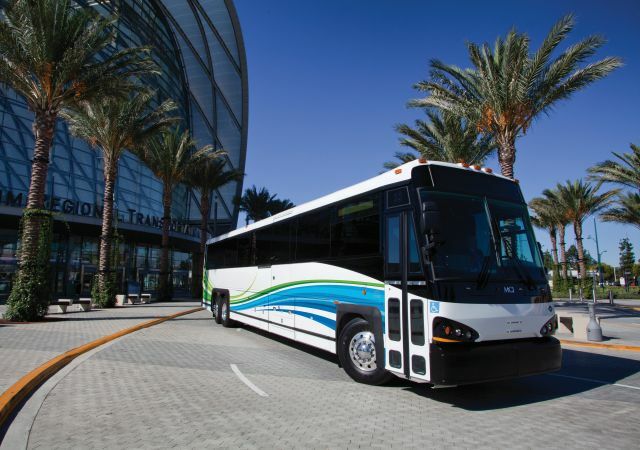 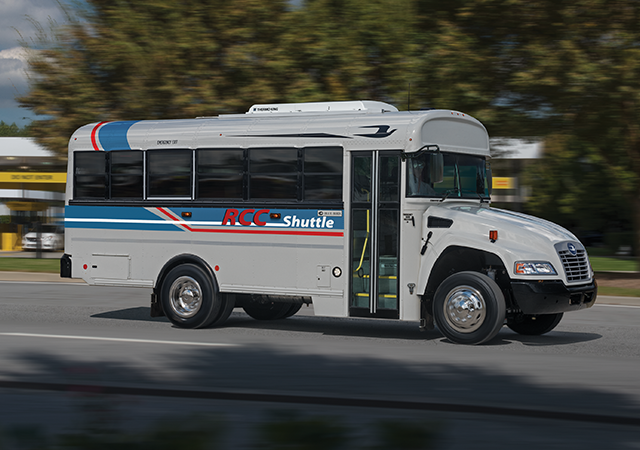 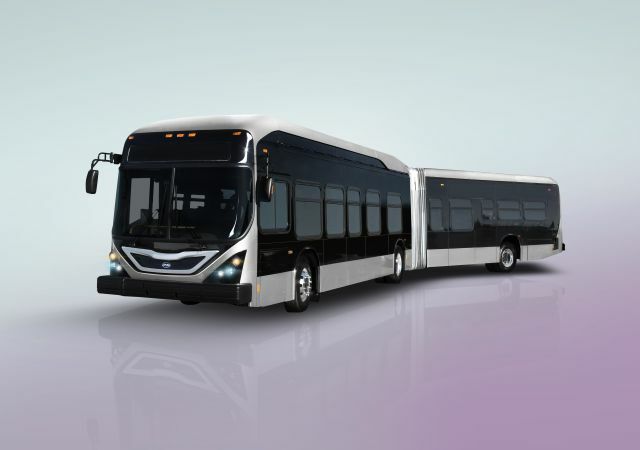 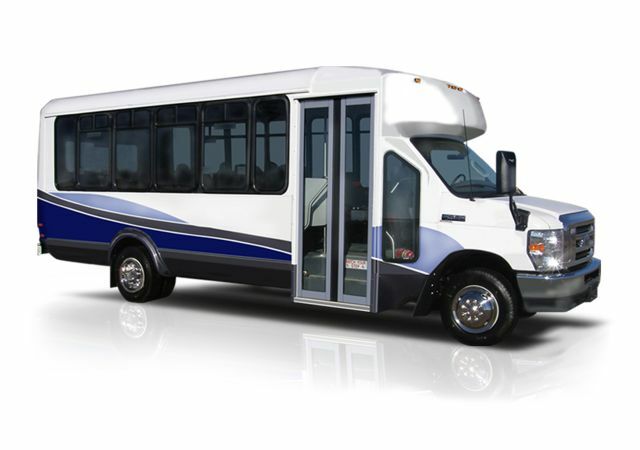 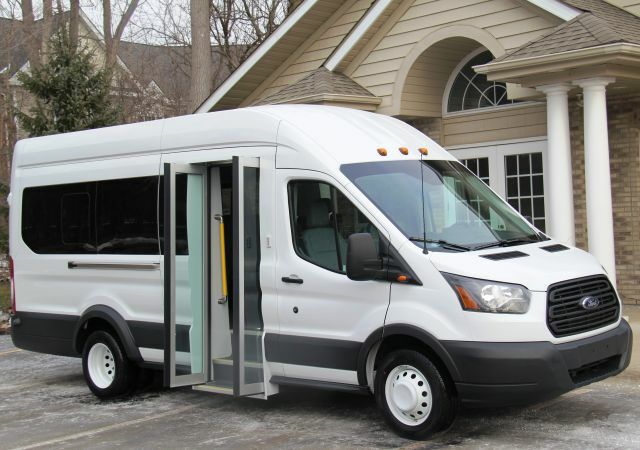 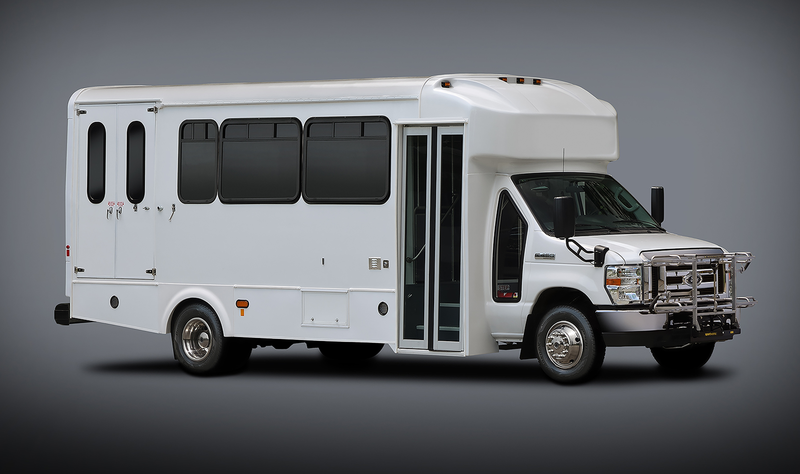 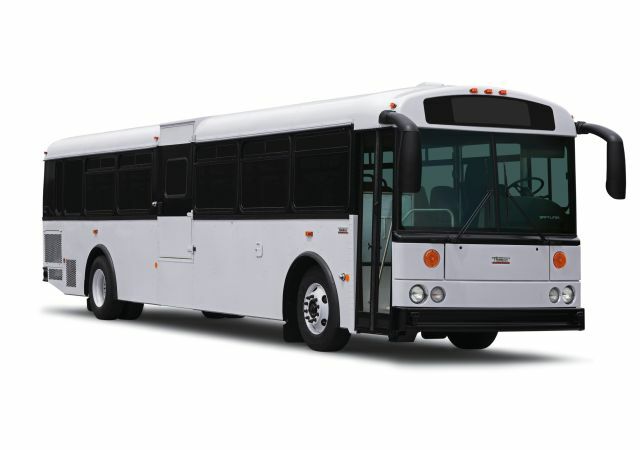 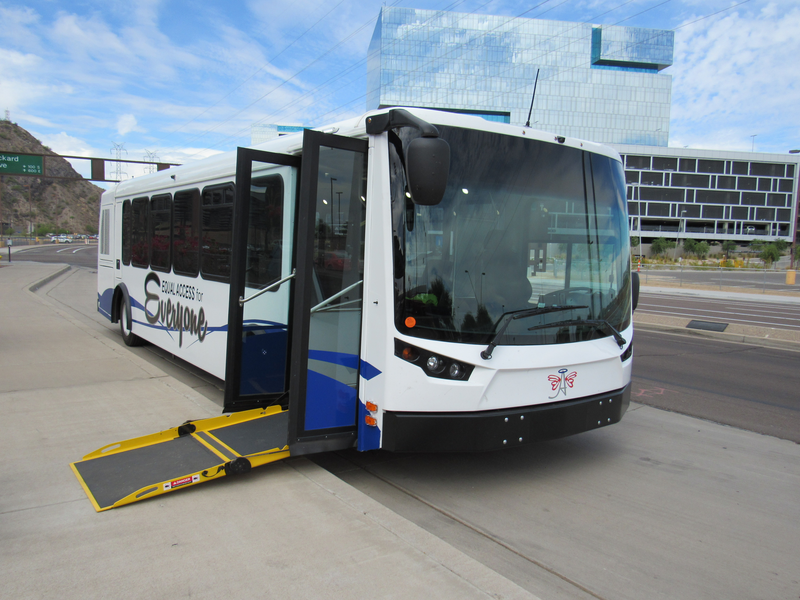 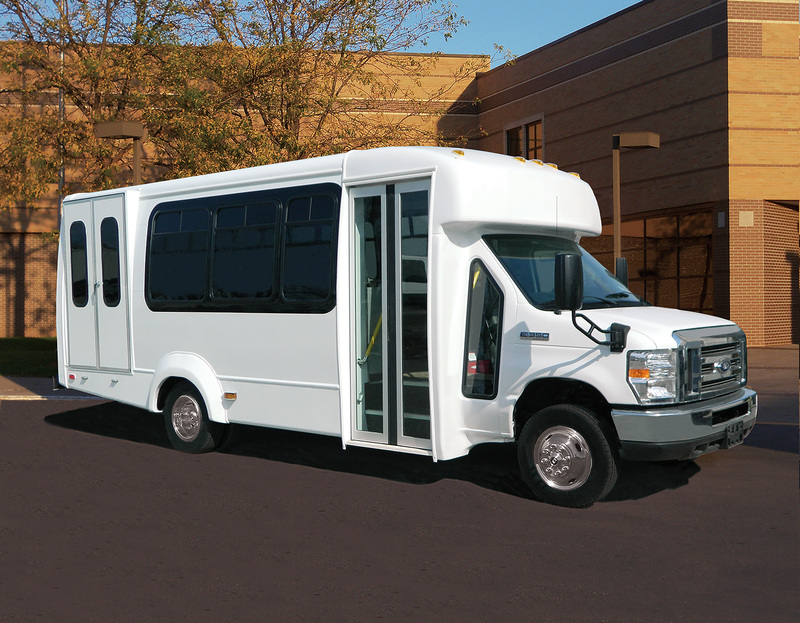 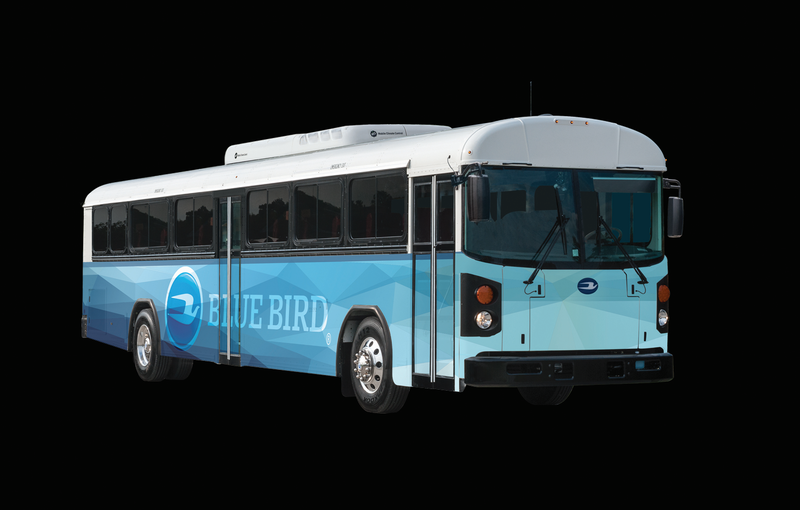 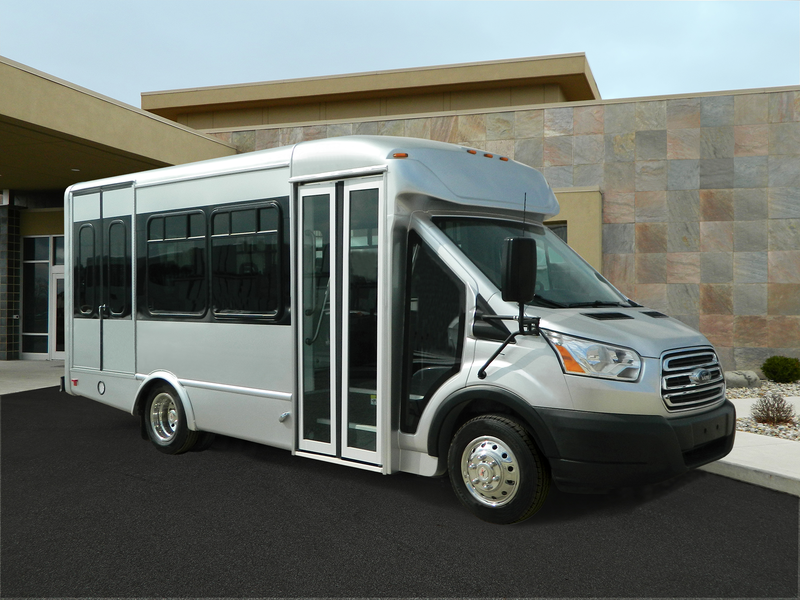 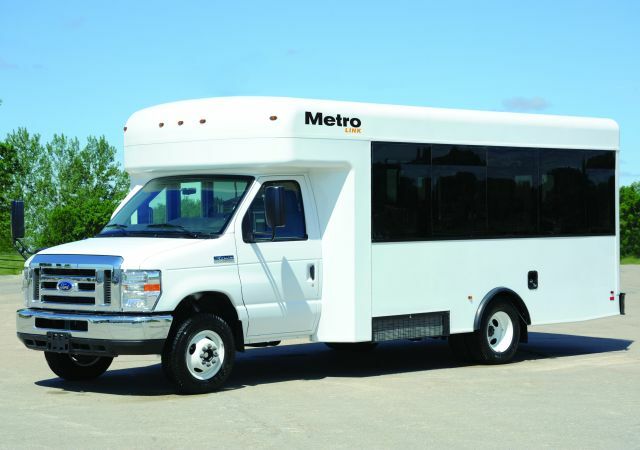 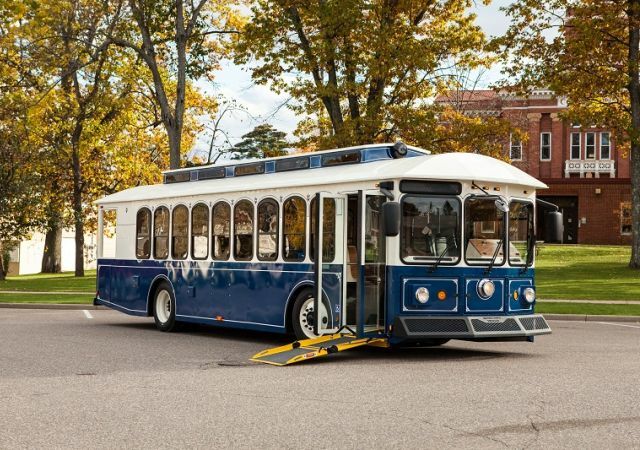 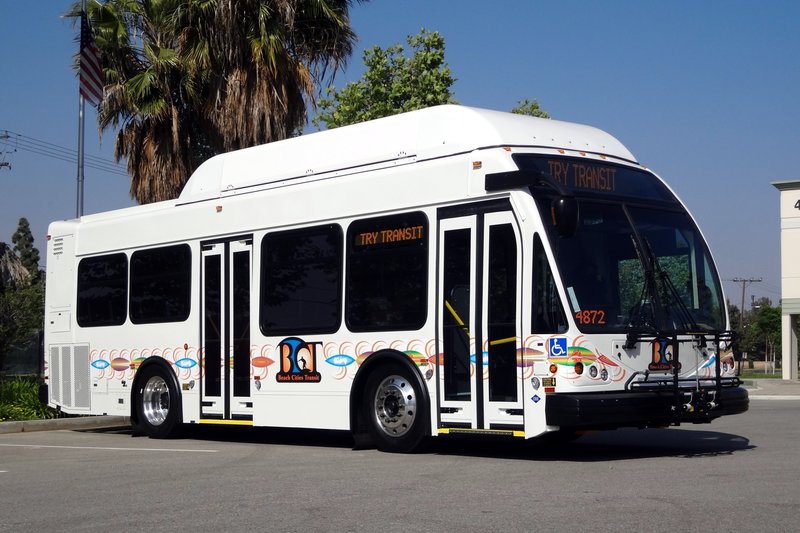 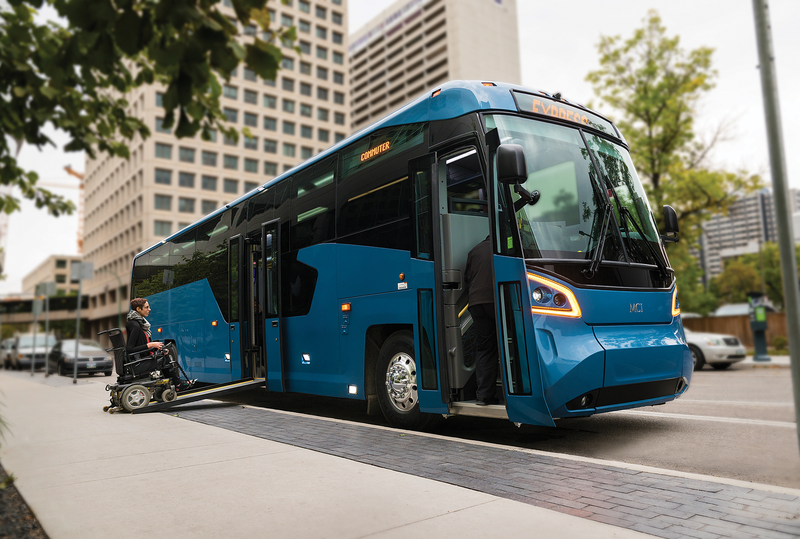 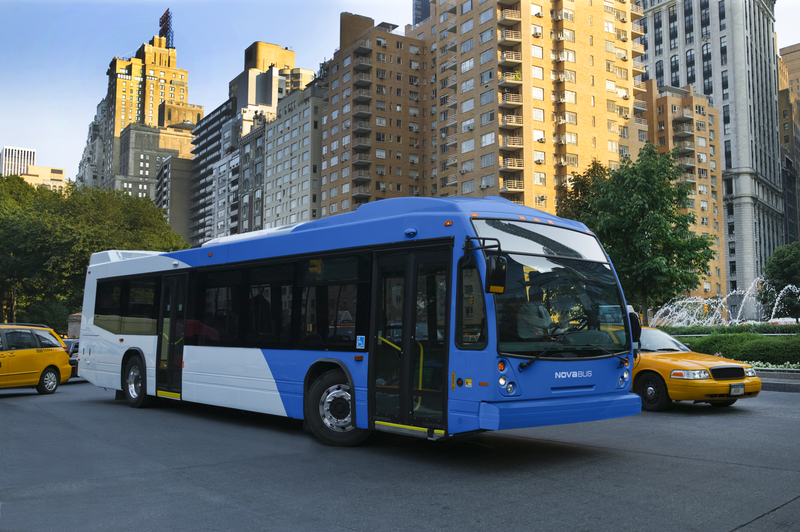 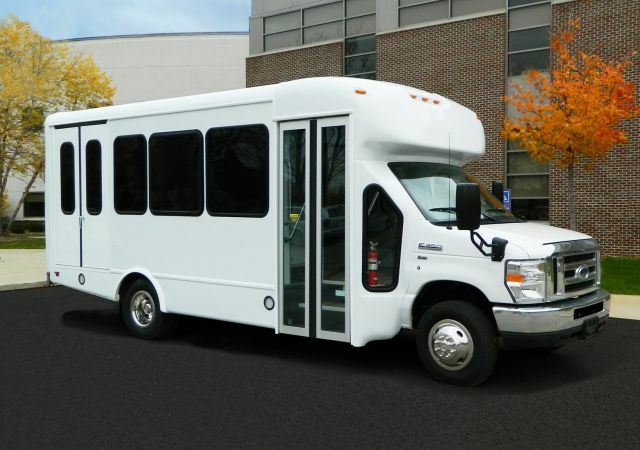 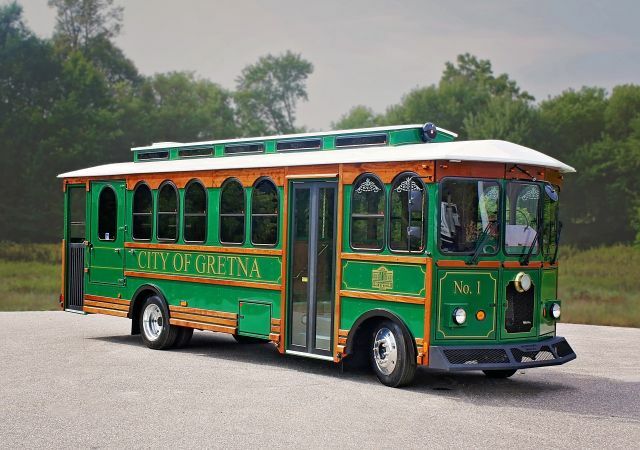 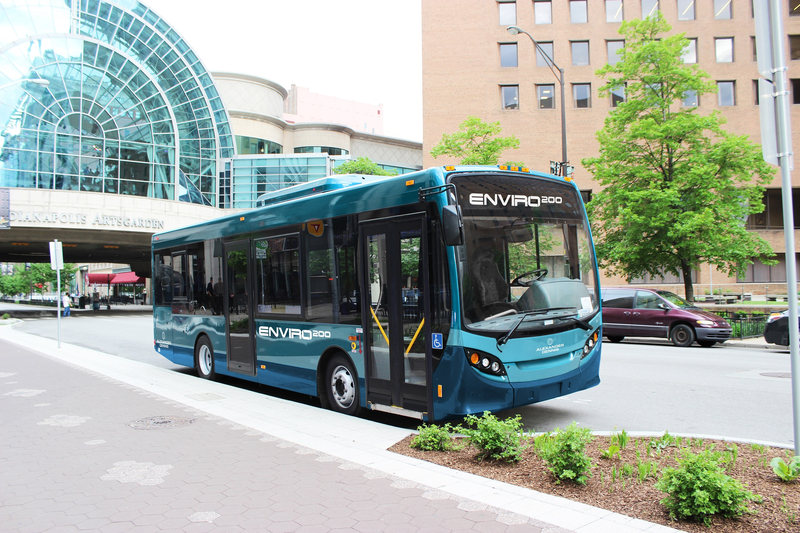 The contract Greater Peoria Mass Transit District entered into with Central States Bus Sales Inc. for the 26 vehicles, includes an option to purchase an additional 14 paratransit vehicles over the next five years. 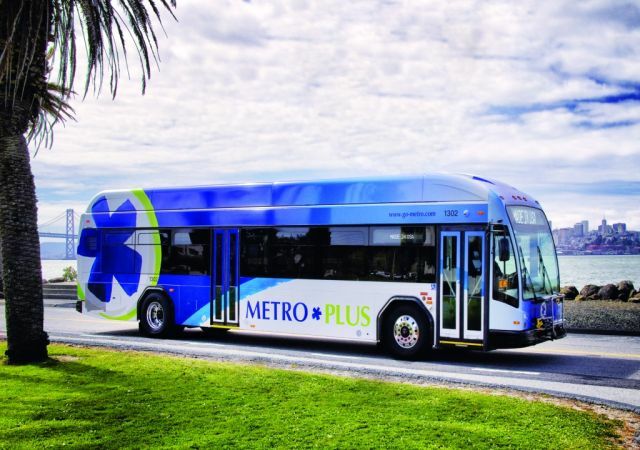 The company's shares of common stock have been approved for listing on the New York Stock Exchange and are expected to begin trading under the ticker symbol “REVG” on Friday. 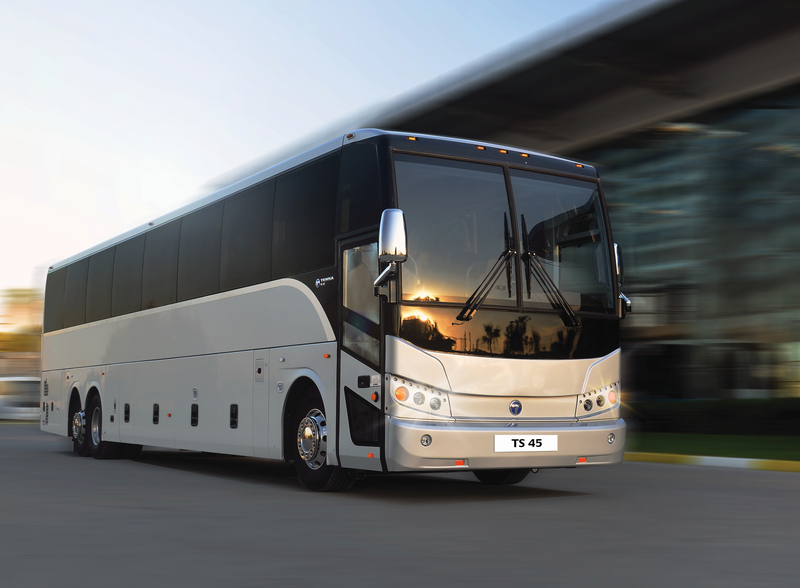 REV Group will mark its return with 4,250 sq. 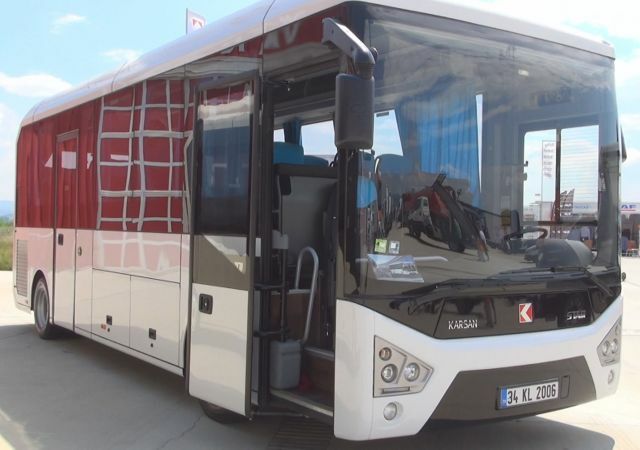 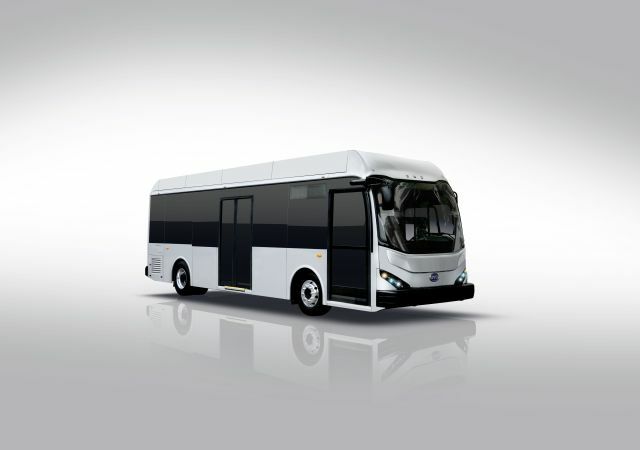 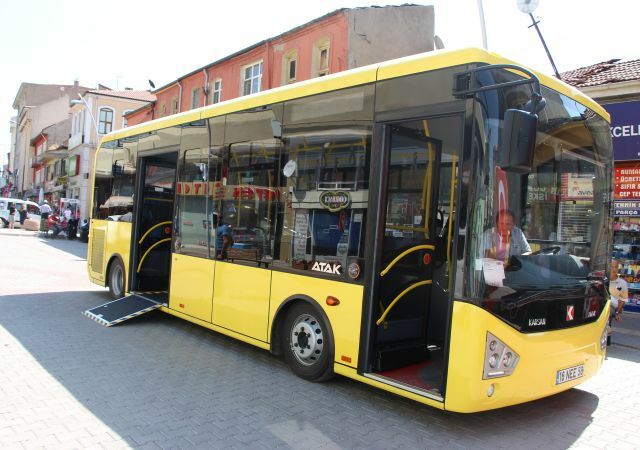 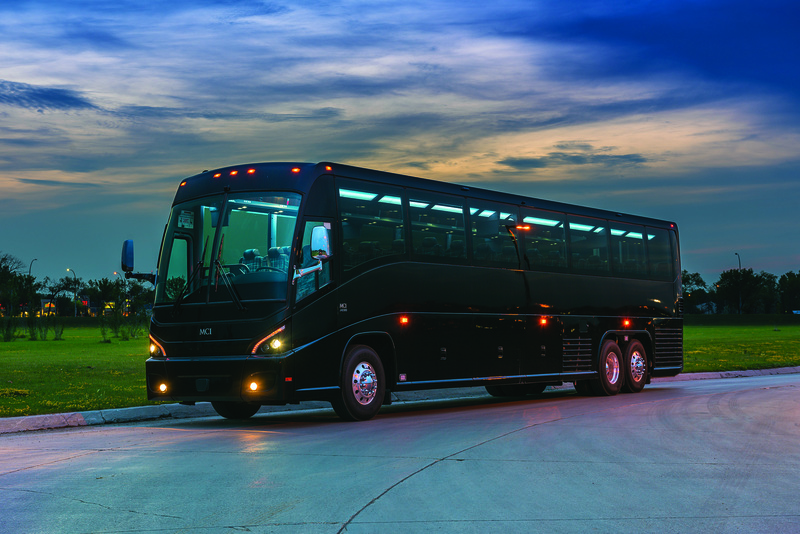 ft. booth, which will showcase all seven of its brands, including the entrance of Collins Bus into the commercial bus market and much more. 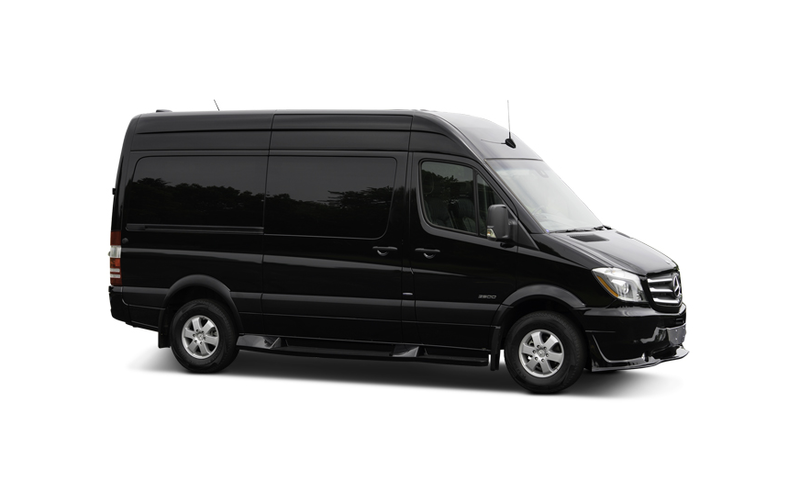 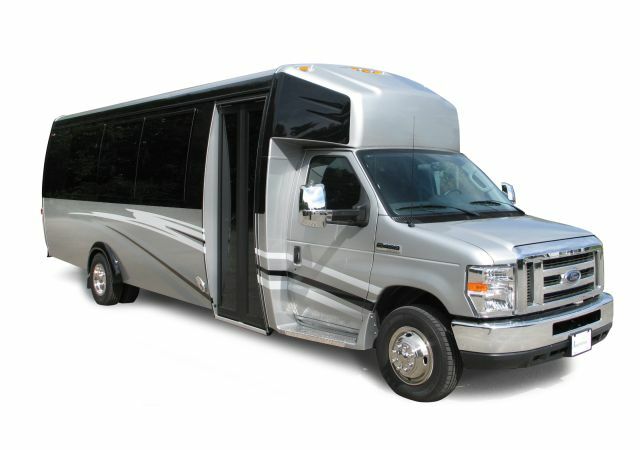 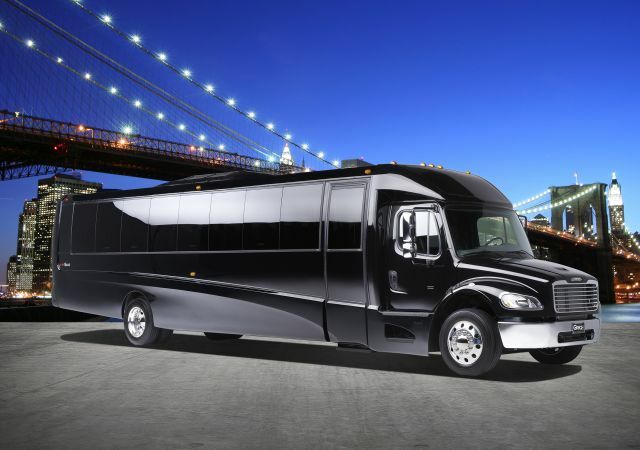 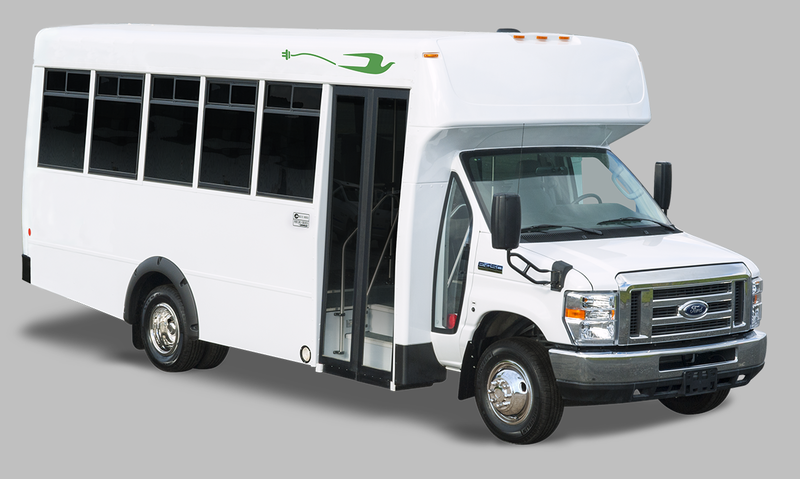 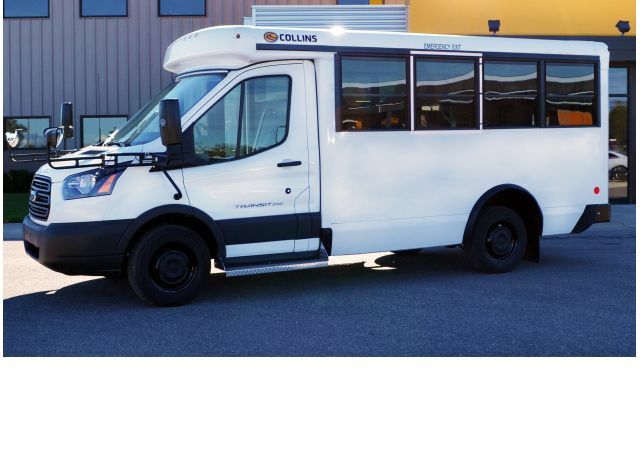 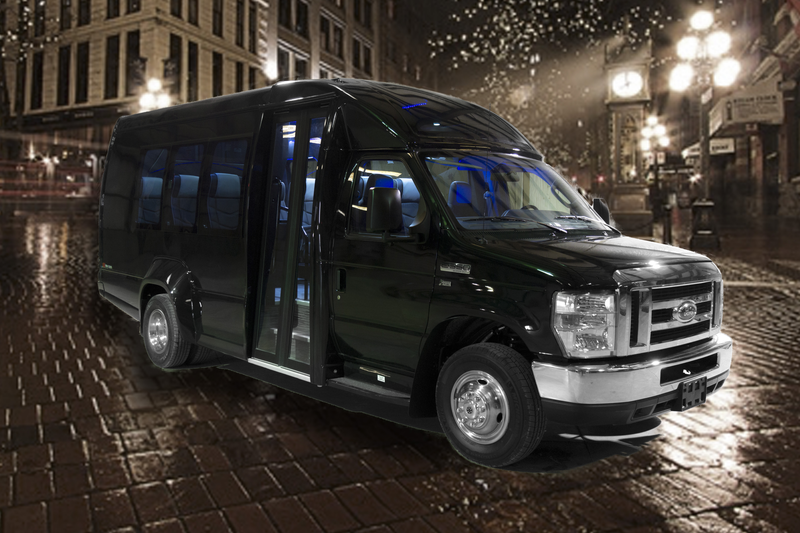 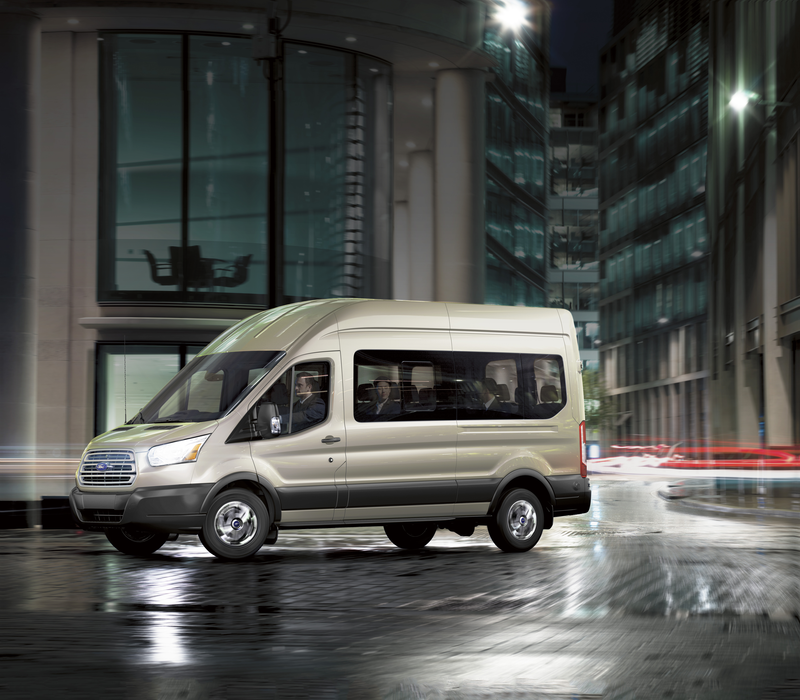 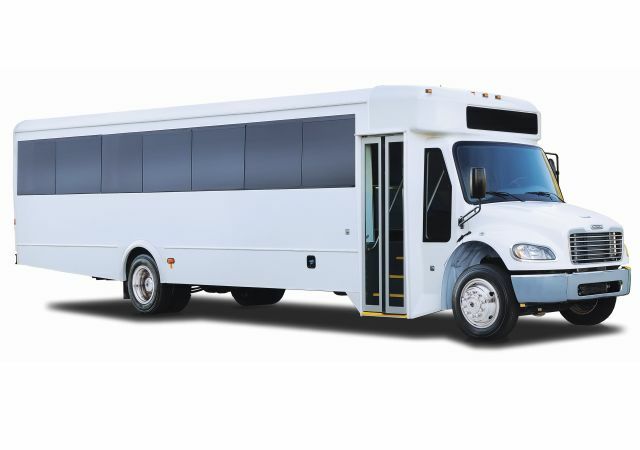 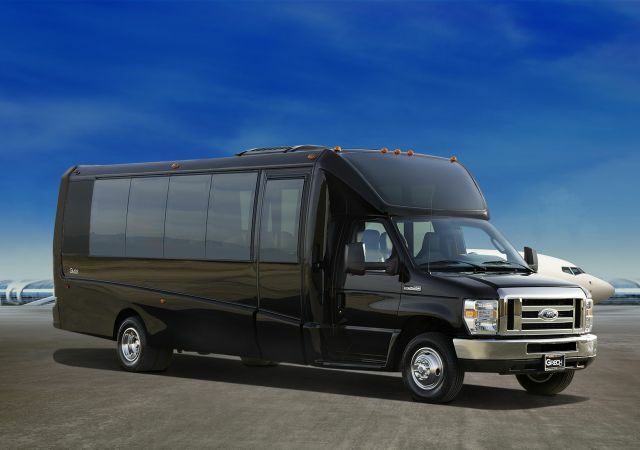 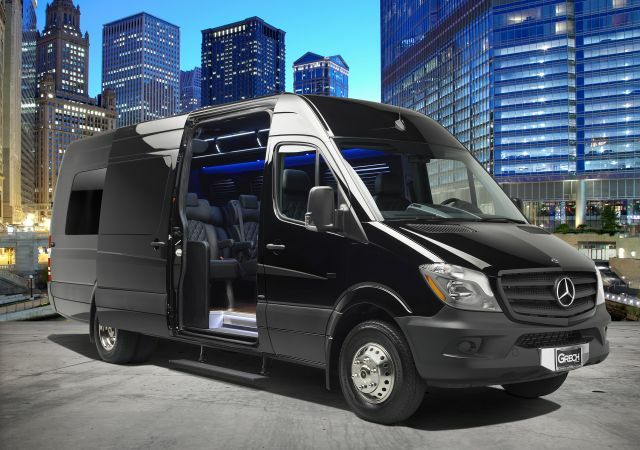 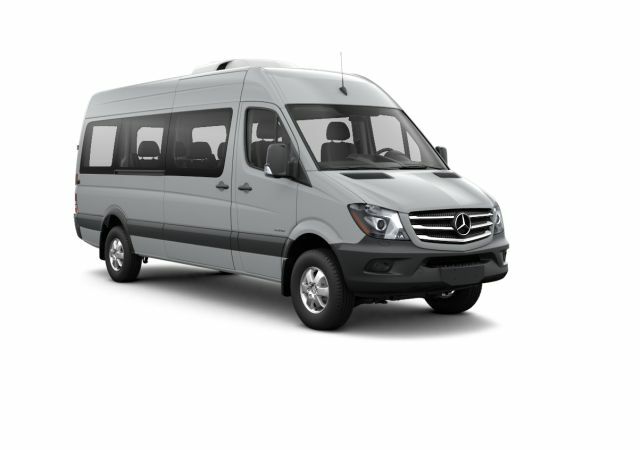 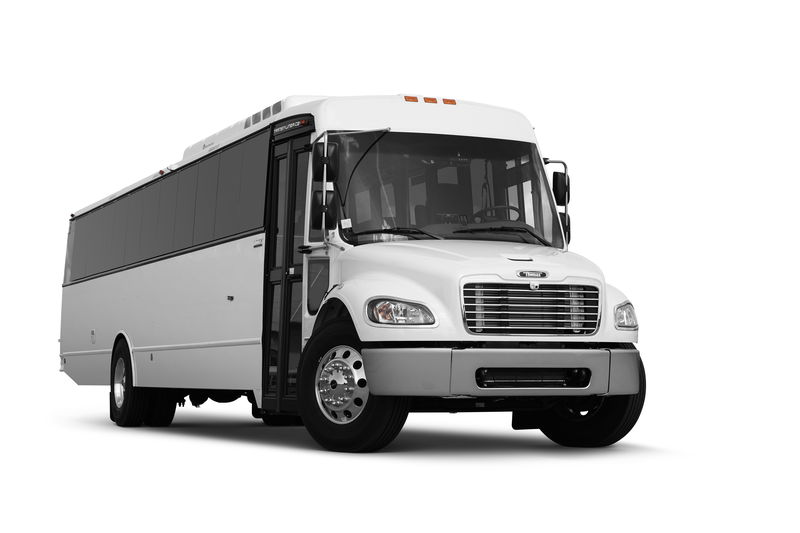 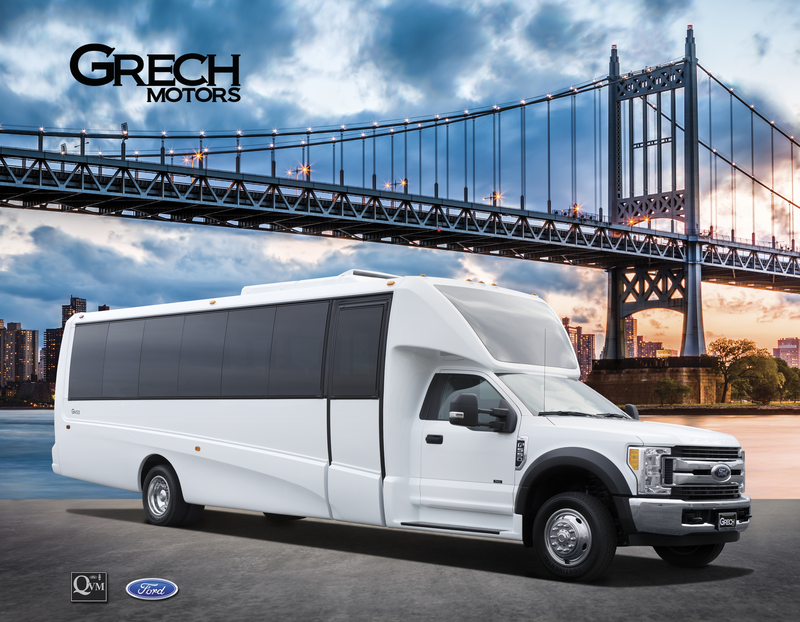 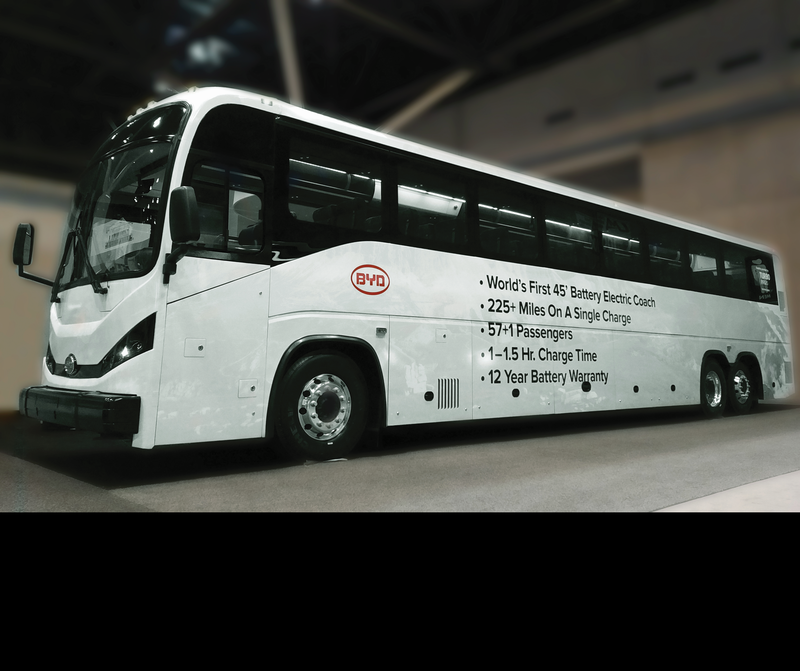 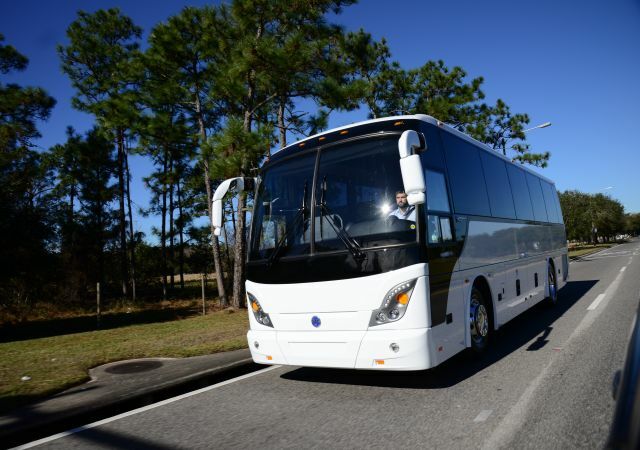 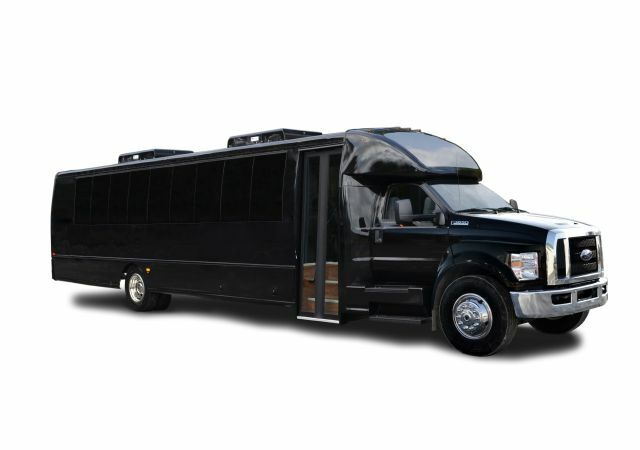 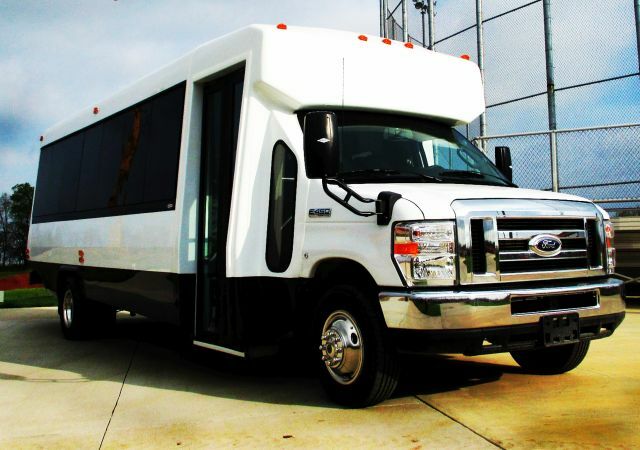 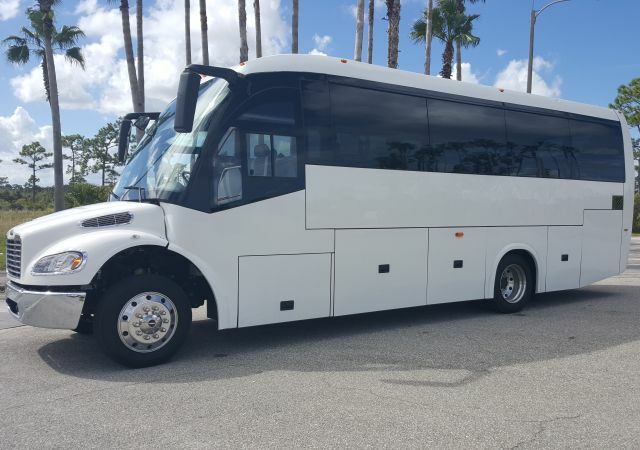 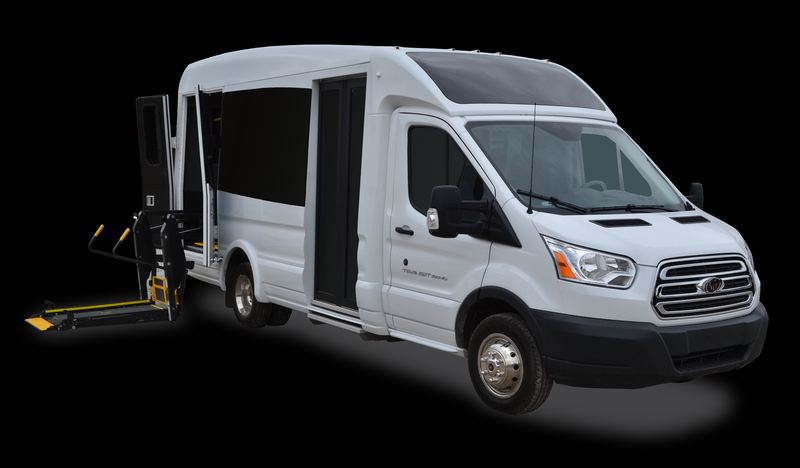 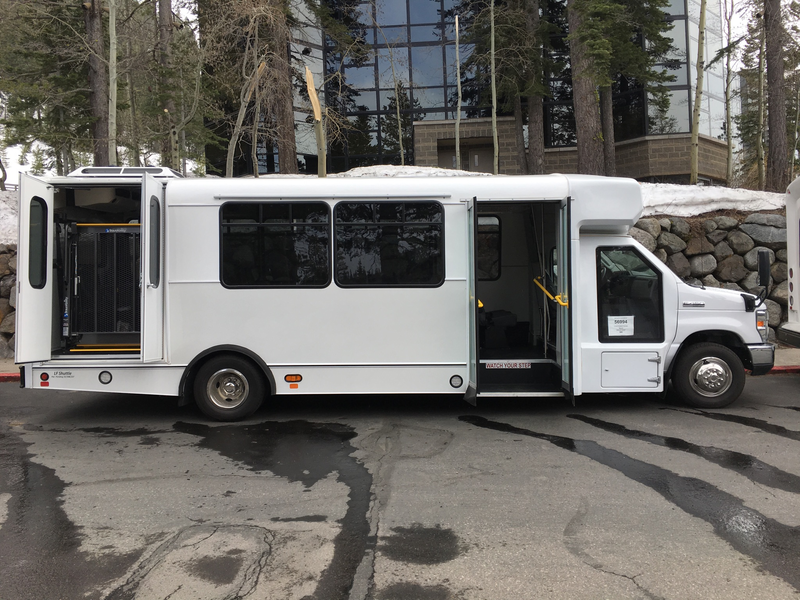 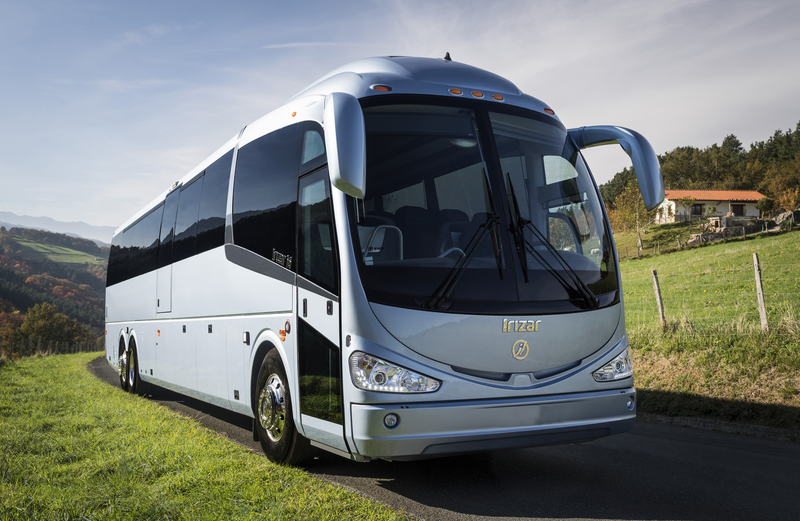 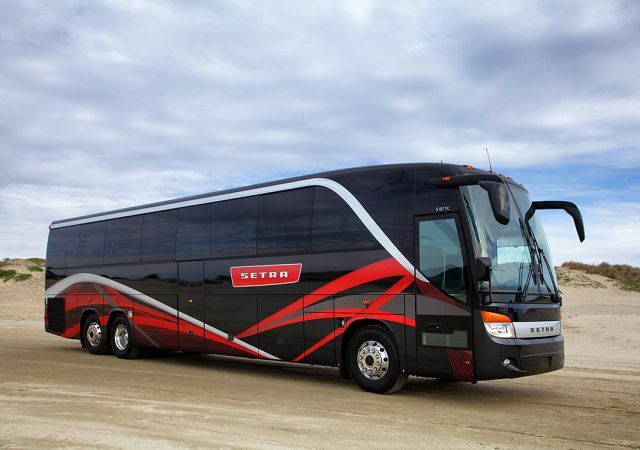 REV Bus provides several of the industry’s leading brands including Champion Bus, Collins Bus, ElDorado National-California, ElDorado National-Kansas, Federal Coach, Goshen Coach and Krystal. 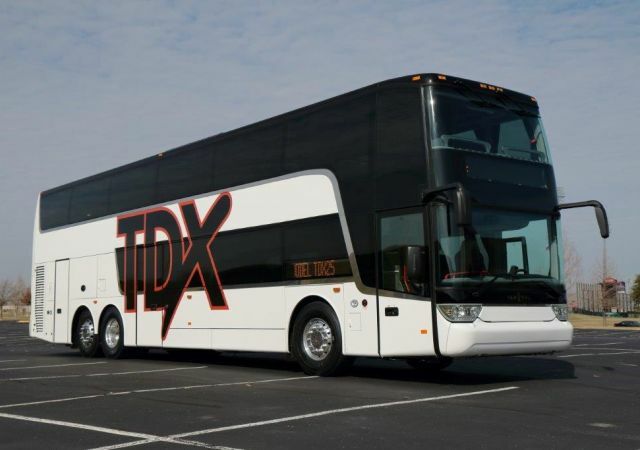 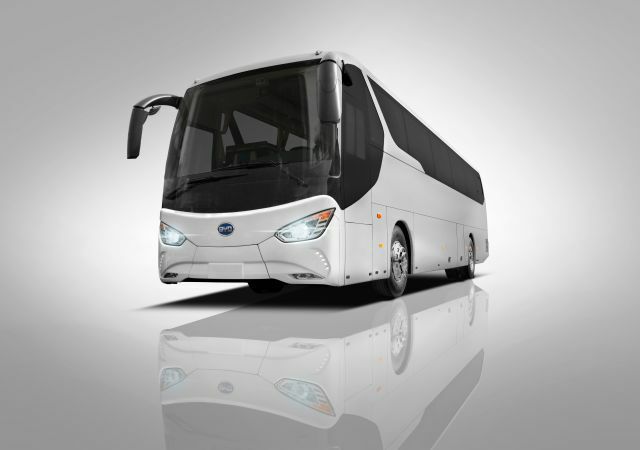 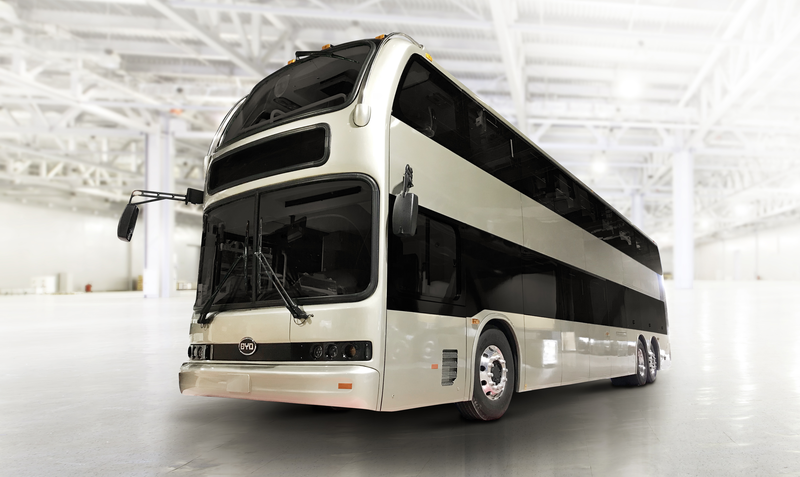 In his new role, Joe Bradshaw will immediately be tasked with analyzing facilities, procurement, production and quality assurance processes for the commercial and luxury bus products manufactured at this location to determine operational changes necessary for increasing efficiencies and growing output. 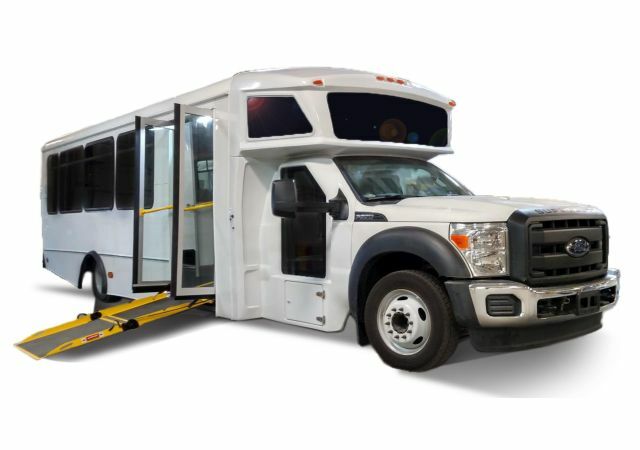 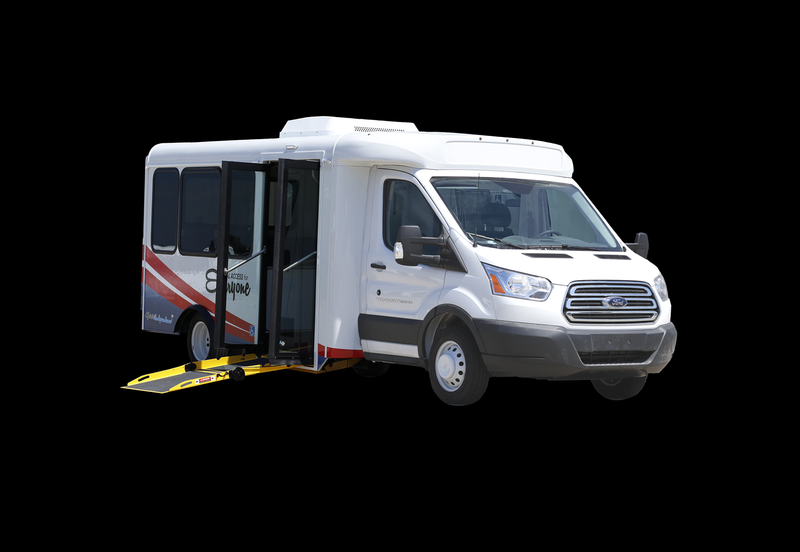 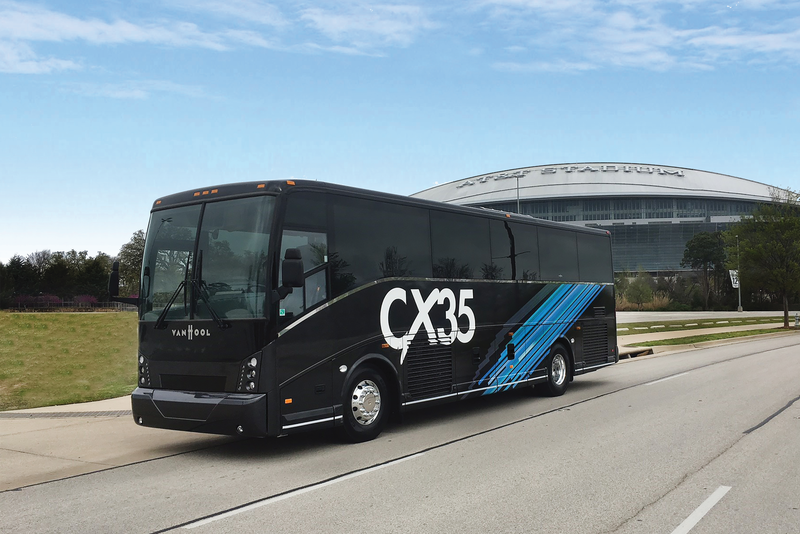 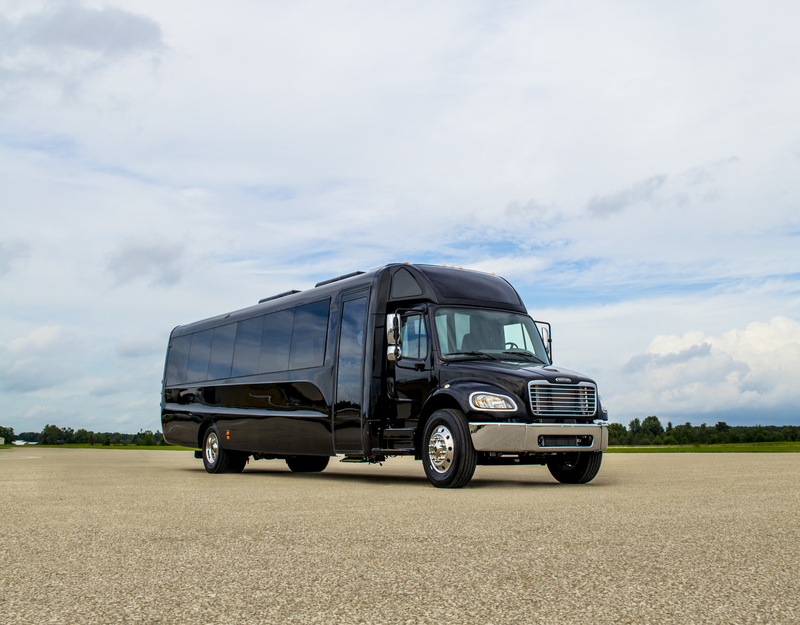 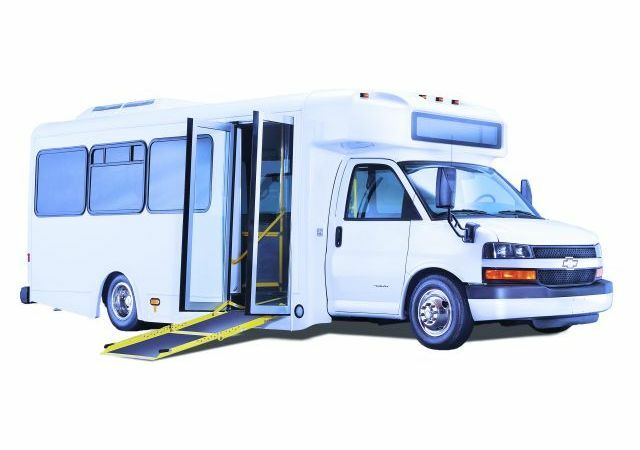 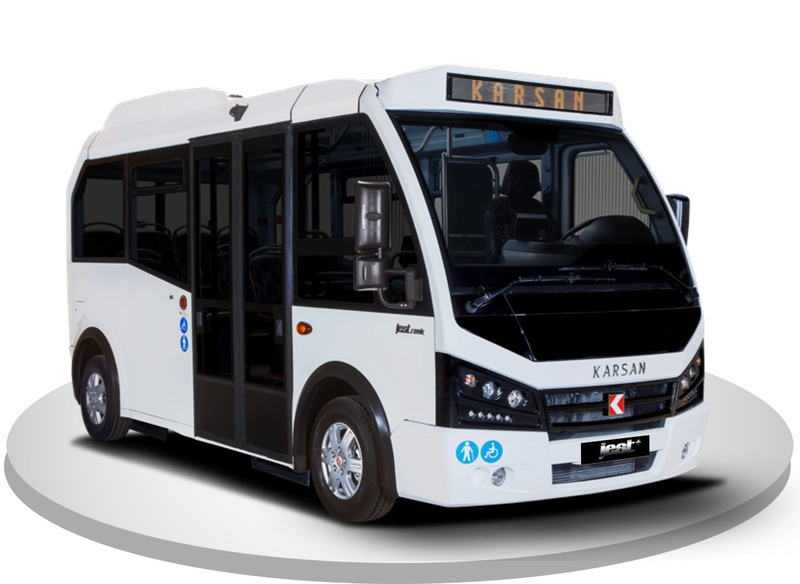 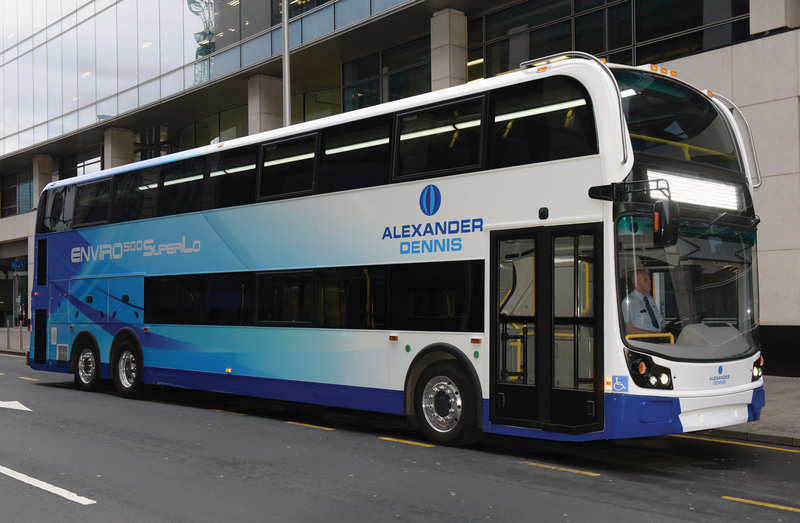 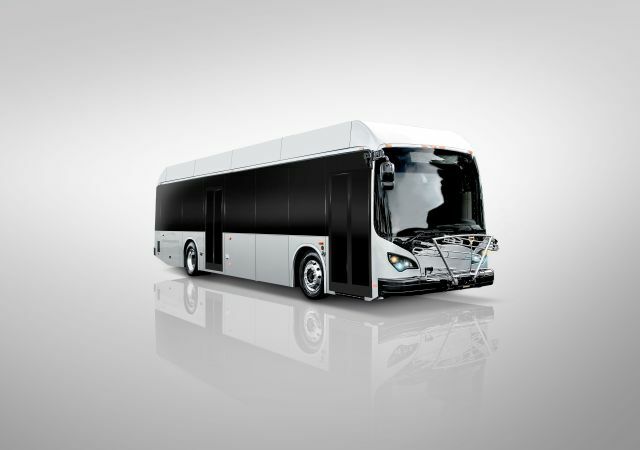 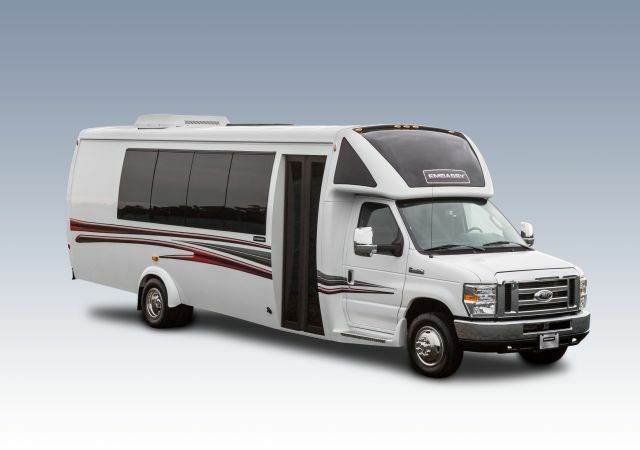 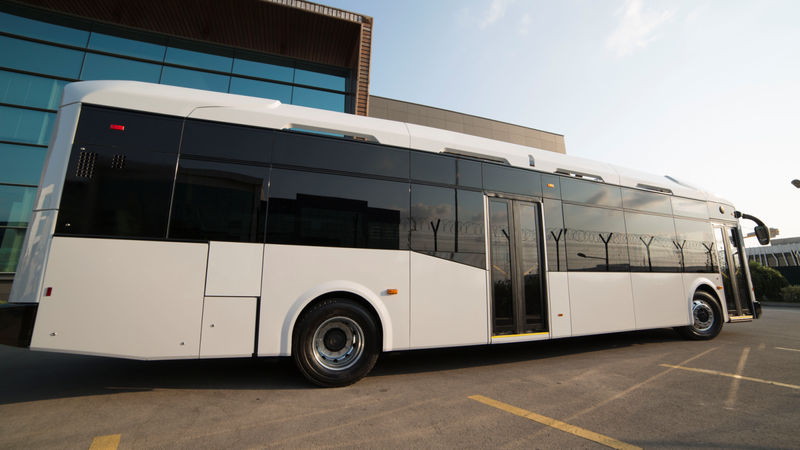 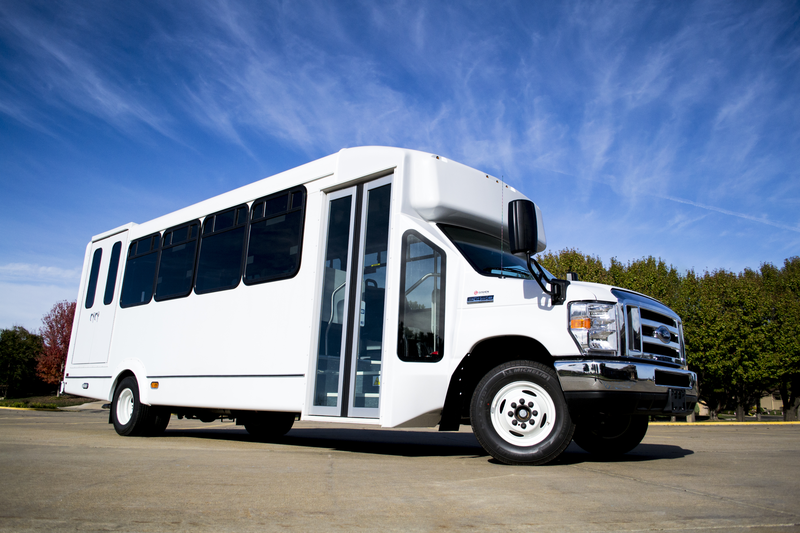 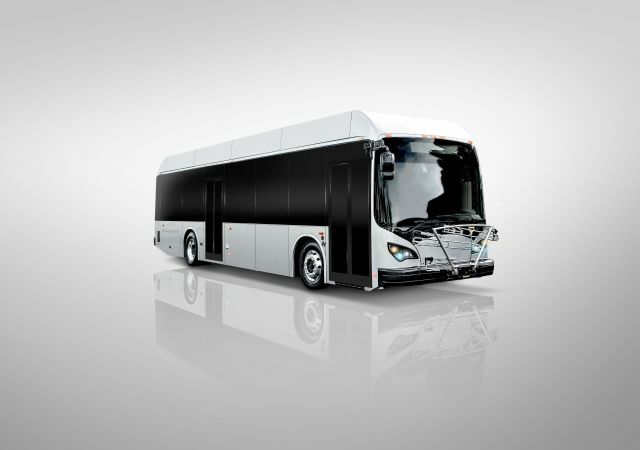 Agreement covers use of Dallas Smith's existing and future commercial bus technologies as optional features on the Champion Bus LF Transport™ low-floor model. 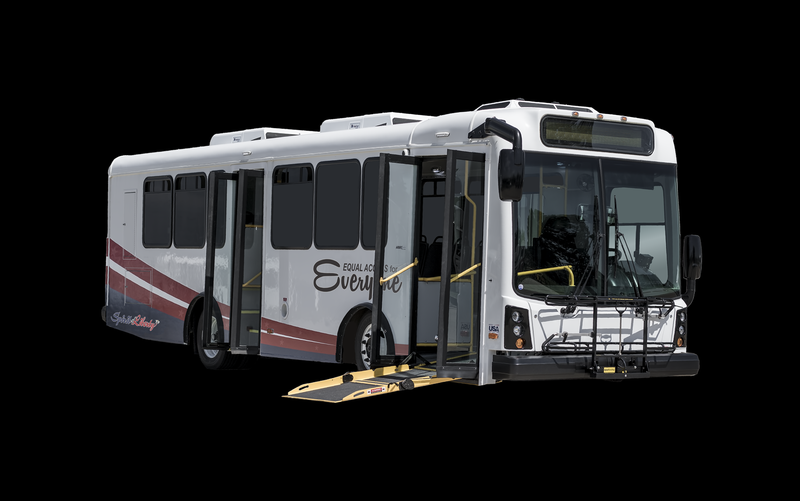 Dallas Smith’s existing patented technologies include the Equalizer Ramp® and the IntelliSYNC® electronically-controlled “smart” suspension system, with low-speed OverRise™ function. 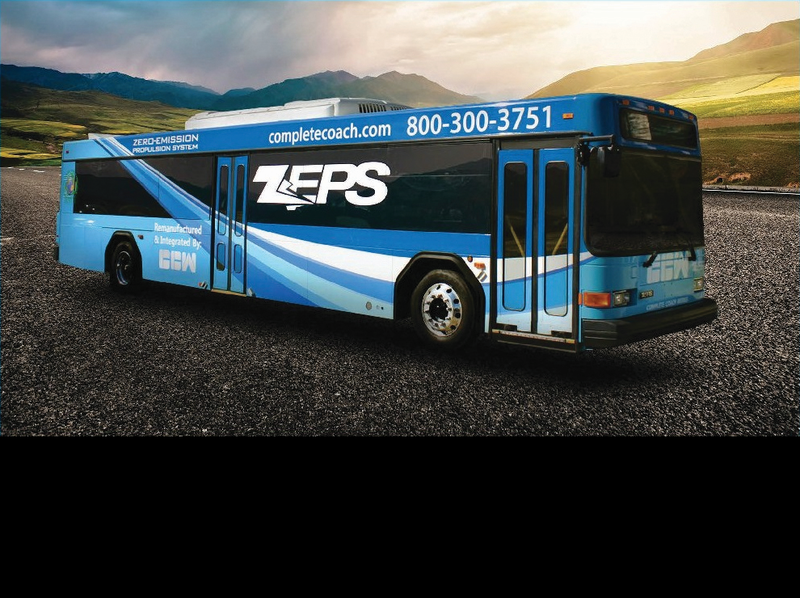 John Resnik, president of Champion Bus and Federal Coach, will split his time between Imlay City, Mich., and Goshen's Elkhart, Ind., plant, while Matt Scheuler moves from VP, sales and marketing, to president of Collins Bus. 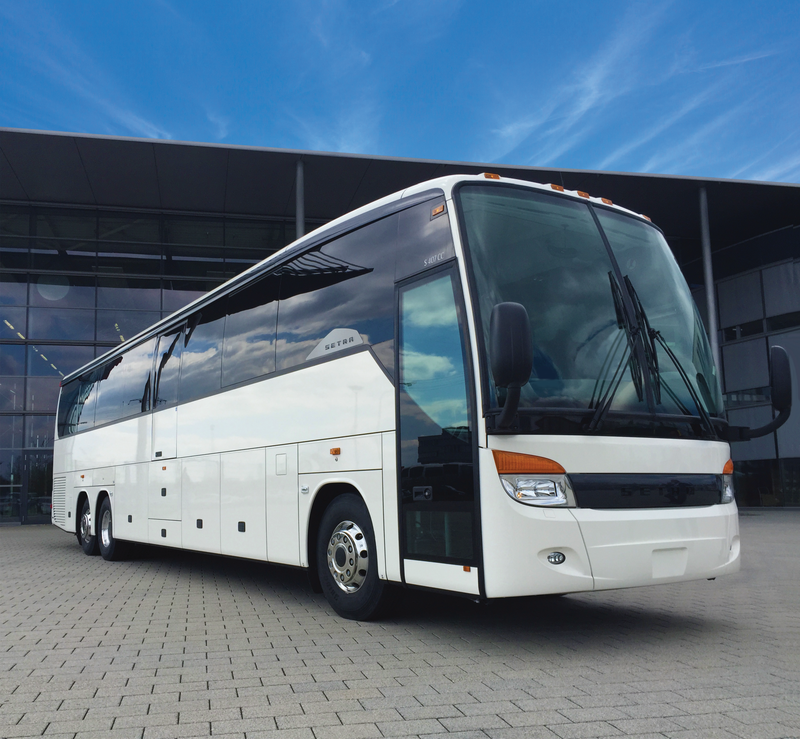 Sixty-six percent of operators cited an increase in rides delivered, with an average of 13% reported. 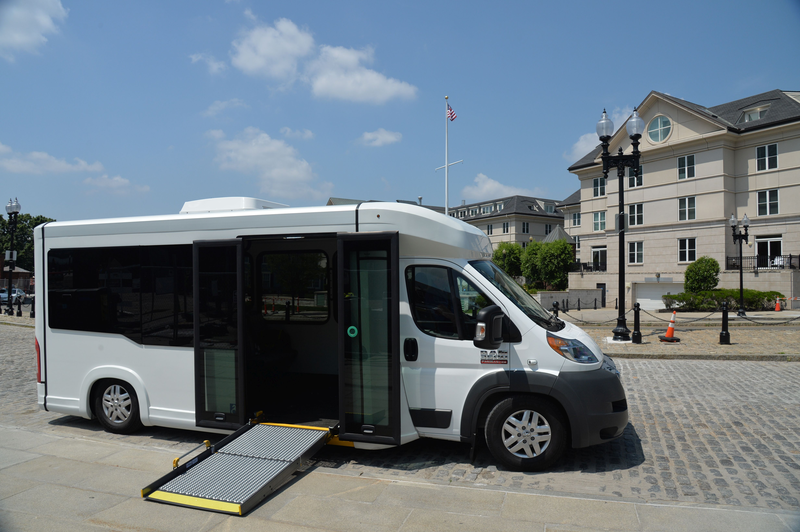 More than one-half tap travel training programs to help alleviate demand on fixed-route, while only 16% use taxis to supplement fleets.